The G6 has arrived. Well, not exactly, but it has been announced. Unveiled by LG this morning at MWC, the G6 is the company proving it can let go of not-too-successful ideas (modularity) and push its hardware in a new direction. And if I’m being frank, we dig it. For software, LG has baked in Google Assistant, with the G6 being the first non-Pixel smartphone to offer Google’s digital assistant. In addition, LG has provided a set of features to take advantage of the G6’s 18:9 ratio, such as Square Camera, as well as formatting tweaks you will find in 3rd-party apps. For a complete hands-on with the LG G6, look here. BARCELONA, Feb. 26, 2017 ― LG Electronics (LG) today unveiled the G6 smartphone, the newest smartphone that features a bold new display format complimented by a cinematic viewing experience, exceptional screen to body ratio, wide angle camera and more. Designed in response to consumer feedback and user opinions, the G6 is a back-to-basics approach to premium smartphones, with a focus on the features consumers want, most notably a big screen that actually fits in one hand. The LG G6 comes with a 5.7-inch QHD+ (2,880 x 1,440 resolution) FullVision display, and for the first time ever in a smartphone, an 18:9 screen aspect ratio. Compared to conventional 16:9 aspect ratio displays, the 18:9 format offers more viewing space and a more immersive experience when streaming videos and playing games. In a G6 Game Collection promotion for G6 buyers, in-game content with a retail value of up to a total of US$200 for six games – Temple Run 2, Spider-Man Unlimited, Crossy Road, SimCity BuildIt, Cookie Jam and Genies & Gems – on Google Play, are offered for free. The games take full advantage of the G6’s immersive FullVision display and single-handed ease of use. Sculpted from aluminum and glass, which comes in black, platinum and white, the LG G6 features a minimalist design that’s sleek all-round and perfectly smooth to the touch. The metal frame that wraps around the perimeter of the phone imparts solidity in style with a soft matte finish and the back is perfectly flat, with no camera bump to avoid or protect. Complimented by narrow bezels, the upper bezel was minimized by rearranging the camera, sensor and speaker in a row on the front upper side. The rounded corners of both the body and display not only unify the design but also dispersing the impact if the phone is dropped. With smartphone screen sizes getting bigger and the speed of the Internet becoming faster, LG decided to support two HDR standards for viewers to have access to as much content as possible. With HDR content from Netflix and Amazon on the rise, watch popular shows in stunning HDR quality on the LG G6. Amazon will also increasingly create 18:9 content for a cinematic viewing experience on the 18:9 QHD+ display. With the LG G6, you don’t need to ask people in the picture to reposition, cram together or find another place to stand in order to get everything in, simply choose between standard and wide angle settings. And with dual 13MP rear cameras, including a 125-degree lens on the wide angle, the LG G6 captures panoramic shots that regular phones cameras can’t. The G6 delivers an outstanding and unique camera experience by creating seamless transitions when zooming in and out between the wide-angle and standard camera lenses even during 4K video capture. The G6 also comes with an expanded 100-degree field of view with its 5MP front camera, which means users can take selfies or wefies without the need for a selfie stick. Plus, the wide angle camera reduces edge distortion, which makes for more natural images. 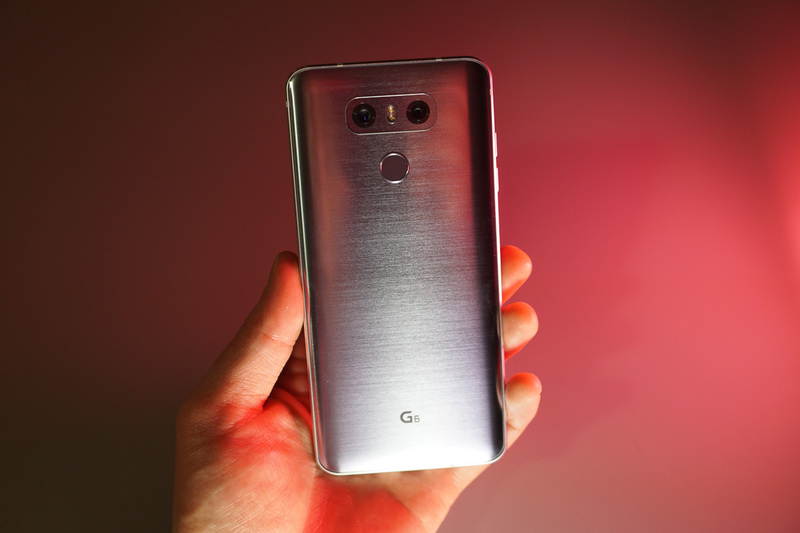 And to view selfies, wefies, wide angle pictures and even the ones in the new Square Camera Mode, recent LG G6 photos appear in one window in film mode which means users don’t need to move to their gallery to review them. The G6 provides a Square Camera function which divides the 18:9 ratio display into two identical squares. The LG G6 can also take perfectly square photos in 1:1 ratio, ideal for Instagram, Snapchat and other social media apps. Users can also choose other ratios, such as 4:3, 16:9 and 18:9. Users can also take pictures in 1:1 ratio in one window, while checking, editing and uploading pictures in another window immediately after shooting. What’s more, users can create GIFs by combining between 2 and 100 photos from the gallery. The LG G6 can go just about anywhere without worry thanks to its IP68 water and dust resistance that makes it safe to be immersed in up to 1.5 meters of water for as long as 30 minutes. And you can worry less about accidental drops and other rough environments during everyday use because the LG G6 has been designed and built to be dependable even when the going gets rough. Huawei P10, Huawei Watch 2 MWC Livestream!